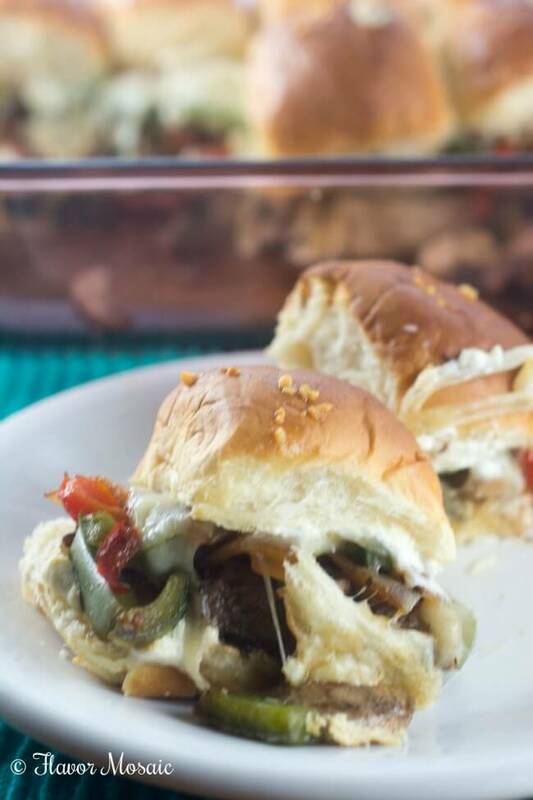 Jalapeno Popper Philly Cheesesteak Sliders combine Philly Cheese Steaks and Jalapeno Poppers into your new favorite game day appetizer and makes one cheesy, savory and spicy mini sandwich that is perfect for any party. The hype is building! People are getting their game faces on and talking smack! It is almost time for the Big Game, the Super Game Day, the one with all the new funny commercials that are often more entertaining that the Big Game! No matter if you are like Mr. 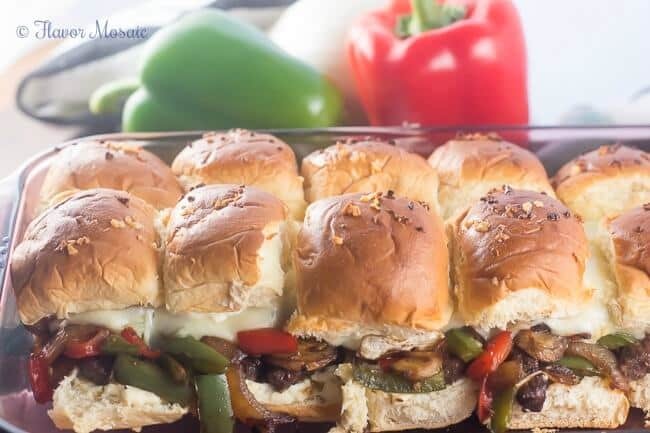 Flavor Mosaic, and take the football game very seriously, or like me, and just like the party, people, and food, I guarantee you will love these Jalapeno Popper Philly Cheesesteak Sliders because they make the perfect mini sandwiches to feed your family and friends! 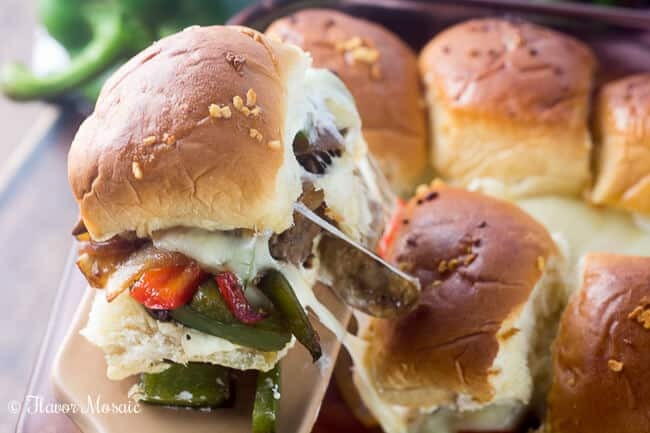 These Jalapeno Popper Philly Cheesesteak Sliders put a Texas twist on a Philly favorite sandwich by adding a jalapeno cream cheese spread on the traditional Philly Cheesesteak sandwich, and then miniatured the whole thing to turn it into an appetizer slider sandwich. These Jalapeno Popper Philly Cheesesteak Sliders start with King’s Hawaiian rolls, round steak cut into thin slices, jalapeno cream cheese spread (I use Philadelphia brand), provolone cheese (or American cheese if you prefer), onion, red and green bell peppers, mushrooms, and then butter, garlic, jalapeno mustard, and Worcestershire sauce for the buttery sauce to pour over the top. 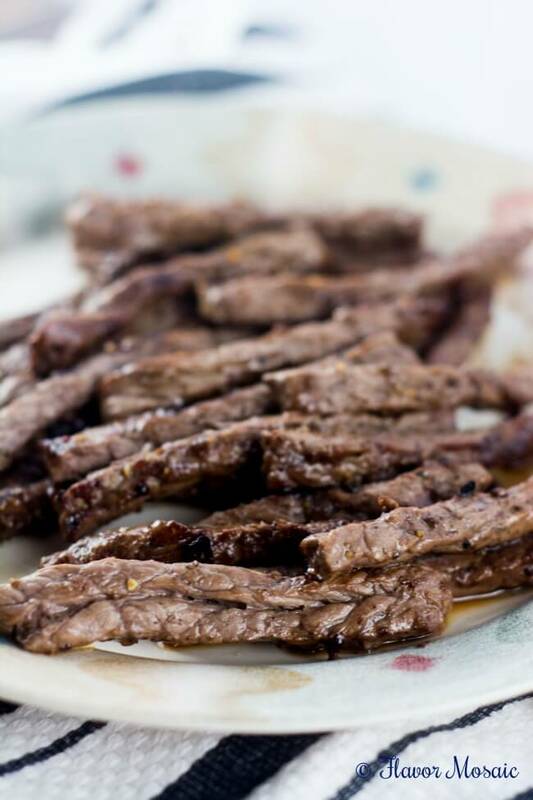 Start by cooking the strips of round steak in a skillet. Then in the same pan as you cooked the steak, sauté the vegetables, including the onions, red and green bell peppers, and mushrooms. Separate the tops and bottoms of the Hawaiian rolls, and place the bottom half of the Hawaiian rolls into an 11 x 7 casserole dish, (or a 9 x 13 baking dish if you don’t have one.) Now for the Jalapeno Popper portion of this appetizer sandwich, spread the jalapeno cream cheese over the bottom halves of the Hawaiian rolls. Next layer the strips of steak over the top of the jalapeno cream cheese. 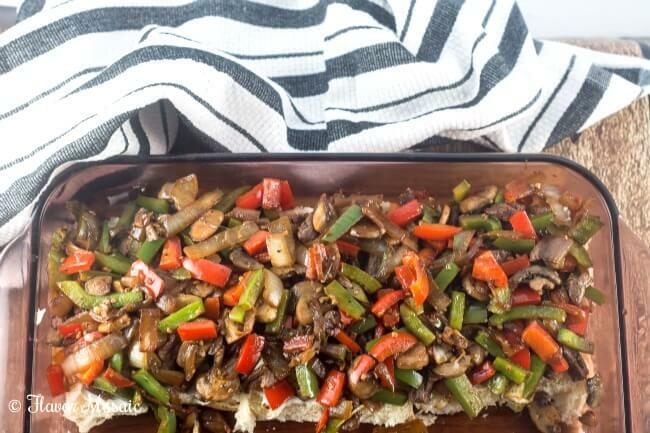 Layer the sautéed onions, peppers, and mushrooms over the sliced steak. Layer with 7 slices of provolone cheese. Spread more jalapeno cream cheese on the top halves of the Hawaiian rolls and place the rolls on top of the provolone cheese. 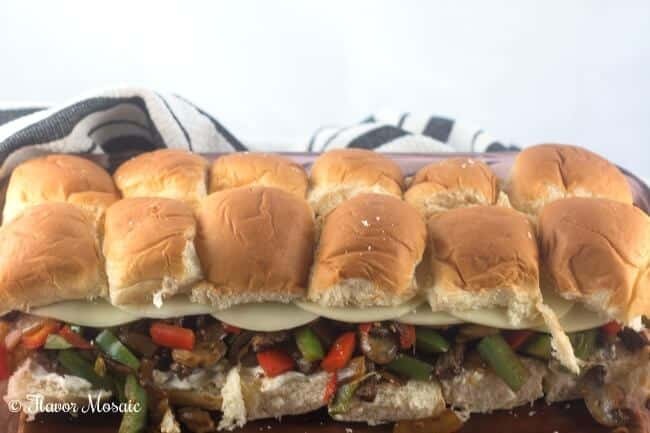 In a separate small bowl, melt the butter in the microwave, and then add the minced garlic, jalapeno mustard, and Worcestershire sauce, and brush the butter sauce over the top of the Jalapeno Popper Philly Cheesesteak Sliders before covering them with foil and baking at 350 degrees for 10 minutes. Then uncover them and bake for 10 minutes more, or until the cheese has melted. 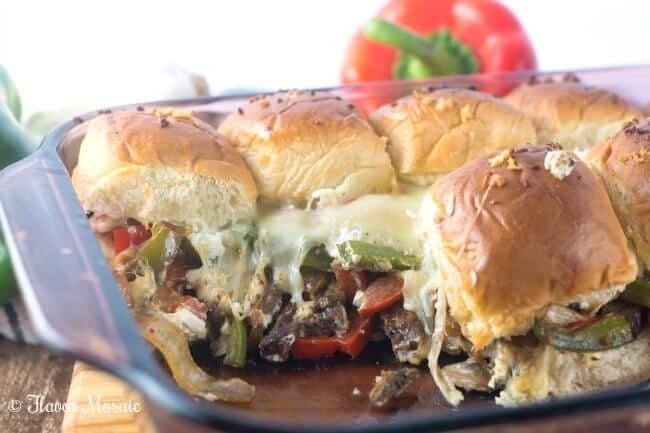 When you pull these Jalapeno Popper Philly Cheesesteak Sliders out of the oven and slice them, you have a wonderful savory, spicy, melty cheese covered Philly Cheesesteak slider sandwich appetizer with a Texas jalapeno cream cheese kick. I recommend making a double batch of these because they will go fast! Now it is your turn. 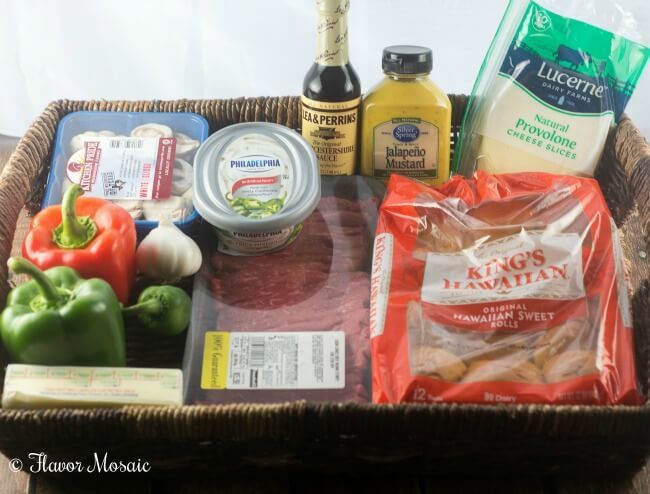 Let me know in the comments below what you will be serving with your Jalapeno Popper Philly Cheesesteaks for your party! 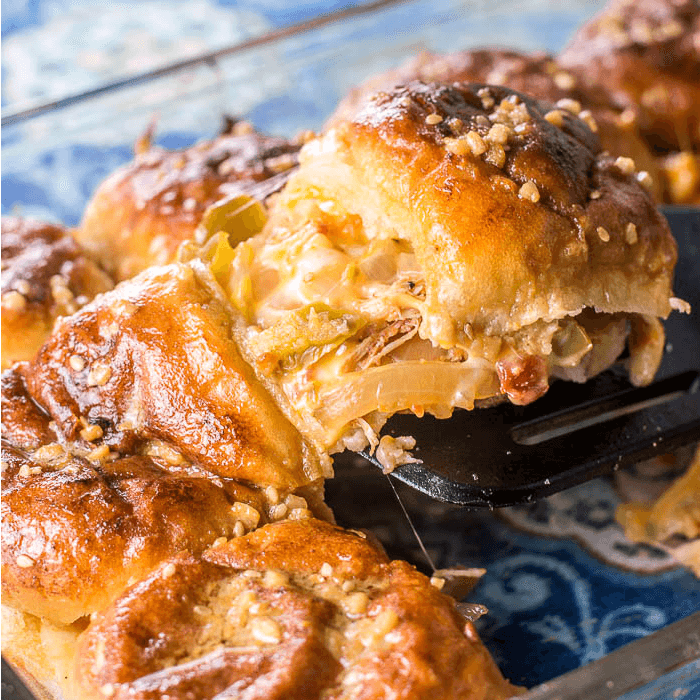 In an 11 x17 (or 9 x 13) casserole dish place the bottom halves of the King's Hawaiian rolls. Spread the Philadelphia Spicy Jalapeno Cream Cheese Spread over the rolls. Sprinkle the round steak with sea salt and freshly cracked black pepper to taste. In a large skillet over medium high heat, add the oil. When hot add the steak slices and cook for about 3 minutes. Turn and cook for another minute or two. Watch carefully because these thin slices of steak cook very quickly. 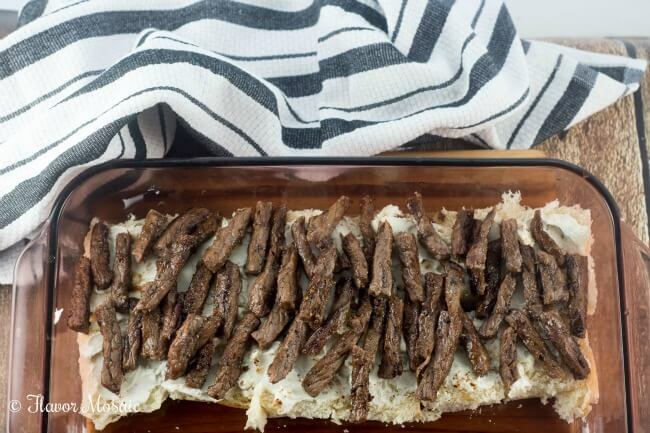 Remove steak, and layer the steak over the jalapeno cream cheese covered rolls. 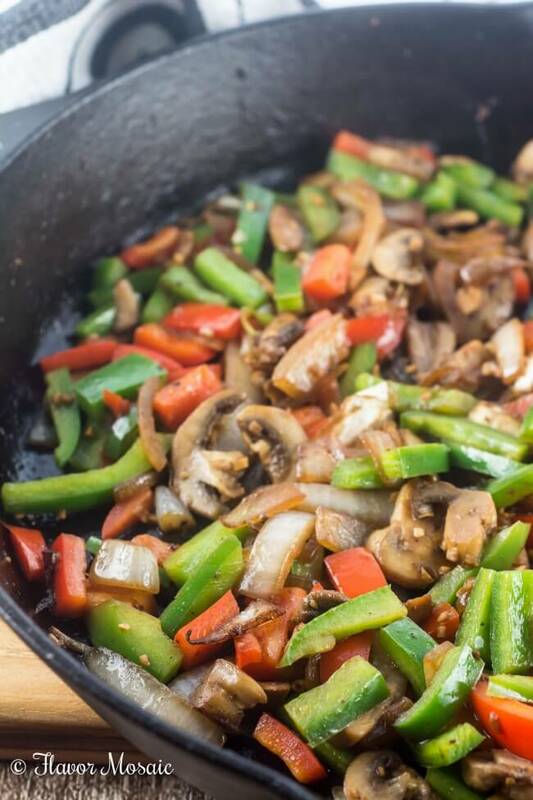 In the same skillet as you cooked the steak, add the onions, peppers, and mushrooms. Cook for about 5 minutes or until the vegetables are soft. Spoon the cooked vegetables over the steak on the rolls. 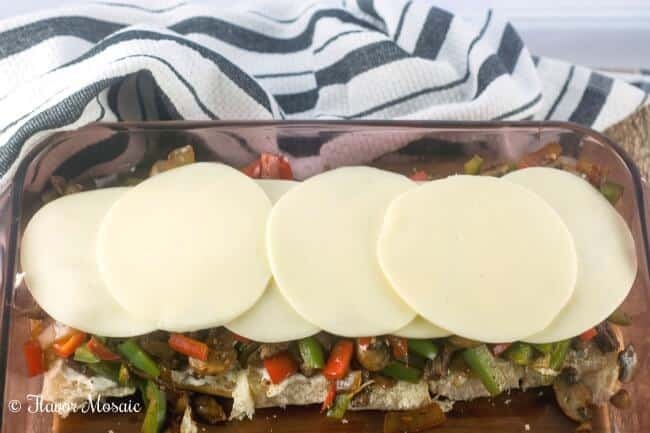 Place 6 to 7 slices of provolone cheese over the top of the vegetables. 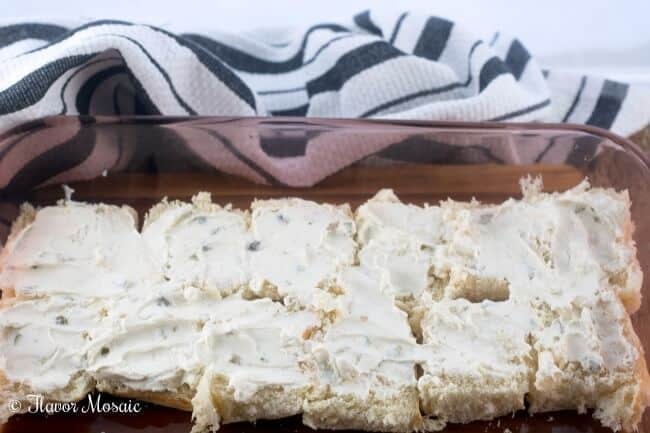 Spread the Spicy Jalapeno Cream Cheese spread on the top halves of the rolls. 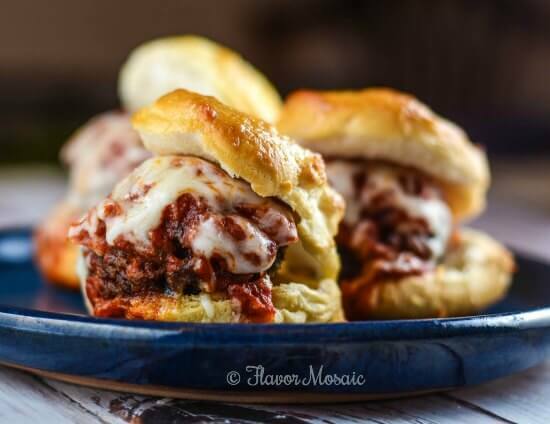 Place the top halves of the King's Hawaiian rolls on top of the provolone cheese. In a small bowl, stir together the melted butter, minced garlic, jalapeno mustard and worcestershire sauce. Brush over the tops of the rolls. Bake in a 350 degree oven for 10 minutes. Remove the foil and bake uncovered for 10 more minutes. Remove from the oven, slice into 12 sandwiches and serve hot. 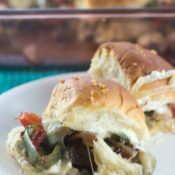 If you like these Jalapeno Popper Philly Cheesesteak Sliders, try these recipes. 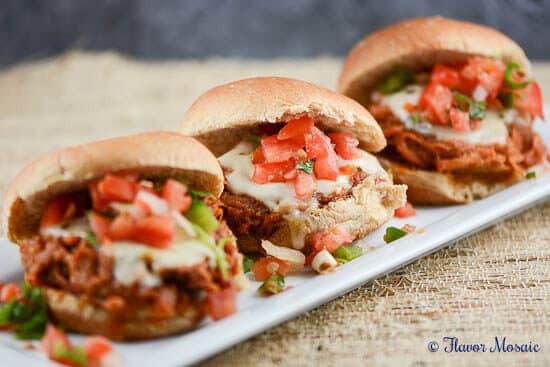 These sliders are the perfect party food! You used my favorite rolls! I could eat a dozen of King’s Hawaiian rolls. 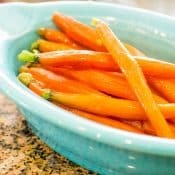 Love this recipe, Michele! These are definitely perfect for the big game! They are making my mouth water! These would be fantastic to bring to a Big game party. They would be a crowd favorite. What an easy recipe idea! Great flavors! I know we’d love it at our house! Whenever I see recipes like these sandwiches I just love them. I really need to try making them at home. These look so yummy! I love the jalapeno twist for sure, probably more than the original cheesesteak! Thank you Lisa. I hope you enjoy them.